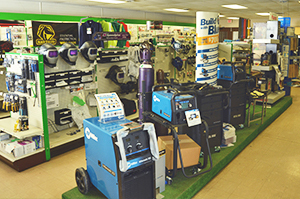 Depke Gases & Welding Supplies is an independent distributor of industrial, medical and specialty gases, welding and cutting equipment, safety supplies and related welding accessories. Since its inception in 1928 as Depke Service Company, our management and employees have been dedicated to providing superior service to our customers..
Depke is an independent distributor of industrial, medical and specialty gases, welding and cutting equipment, safety supplies and related welding accessories. Service to us is simple. Provide the best answers to any issue as quickly as possible and see that the solution is carried out as promised. We strive to do this every day, with every call and every order. 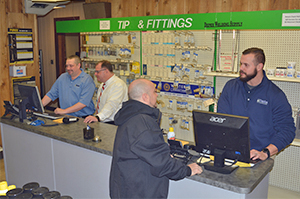 We accomplish this through: our exceptional inside and outside sales staff that averages over 15 years of experience, continual training and a shared belief in doing what’s right for the customer. 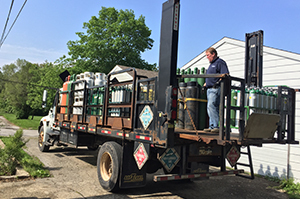 Depke Gases & Welding Supplies provides superior products coupled with unparalleled customer service and technical support. 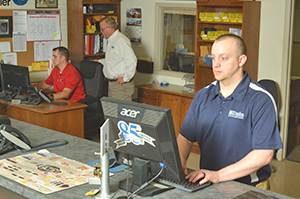 Our goal is to establish lasting relationships with our customers by pursuing excellence in all we do. Depke Gases & Welding Supplies remains committed to the values that have fostered the growth of our company. We are focused on doing the right things, for the right reasons. 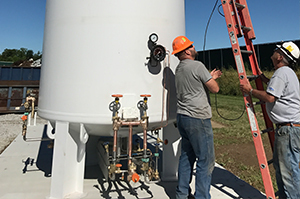 Depke Gases & Welding Supplies technical experts include: welding engineers, certified weld inspectors, gas delivery system specialists, filler metal consultants, abrasive selection experts as well as a variety of industry partners designed to bring value to our customers. IWDC – Independent Welding Distributors Cooperative. In addition Depke employees serve on organizations responsible for setting future direction of our industry. 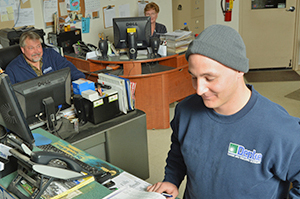 Depke Gases & Welding Supplies employees continue to be the force behind the success of our company. We promise to remain focused on the principle that our success is directly tied to the success of our customers.